We've been seeing spots everywhere lately, from Christina Hendrick's vampy ad campaign for London Fog's trench coats to all the fierce bags, shoes, and even dresses that came prowling down the fall runways. But all this trend-spotting has us wondering: what's the difference between cheetah and leopard? What is ocelot? And do panthers actually have spots? 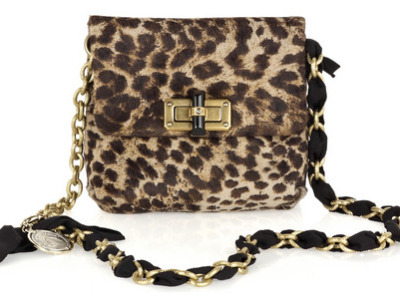 Leopard prints tend to be the most common in fashion, though their spots are often the most complex to replicate. Varying in different sizes and shades, a leopard's coloring and contrasts can range anywhere from nearly white with black spots to a blend of browns. A cheetah's spots, on the other hand are much more simple. Usually characterized by an orangier background, the dots are more identical in size and shape, and usually black. An ocelot, another member of the big bad cat family has a print that looks similar to a leopard's, only bigger and more elongated. It's like a trippy, abstract take on the leopard print. While we're on print safari, a giraffe's pattern is also one well-worth noting. When scaled-down the usually-recognzable pattern looks strikingly similar to that of a leopard as well. A giraffe's print, however, tends to look much more like the spots are puzzle pieces trying fuse back together. And as for panthers, no, they don't have spots.